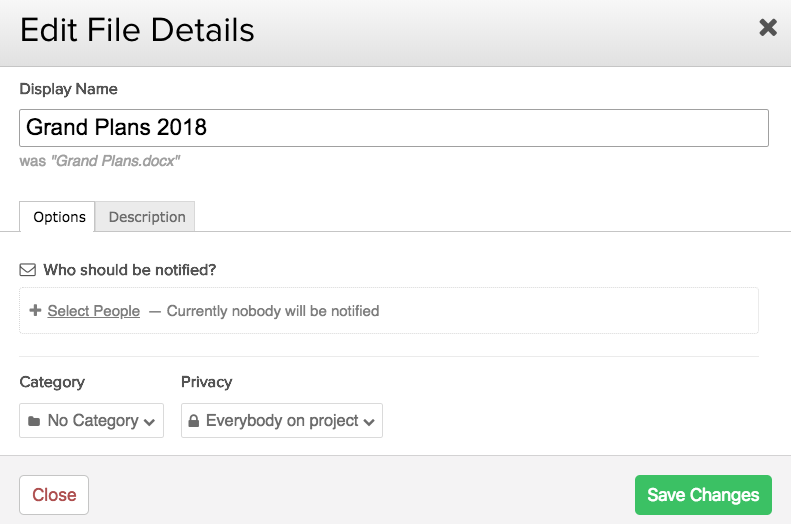 Within Teamwork Projects, you can rename the files on your projects. In the Files area of your project, there is an dropdown menu to the right of each file. 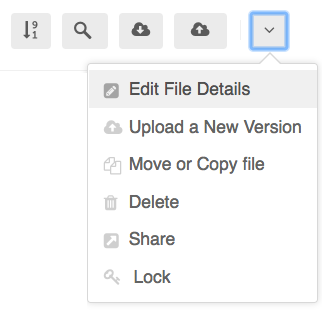 Select the Edit File Details option. In the file details modal, you can enter a new display name for the file. Below the display name field, you will see the previous name of the file. Note: The file extension (for example jpg/pdf/docx) will be kept automatically.